GRAB THE BEST HOT DOG IN TOWN !!! Also available with American Cheese, Sauerkraut, Pickles and Peppers. Semi skin-on French Fries piled high, then covered in a creamy Cheese Sauce,and finished off with our Famous Chili Sauce. 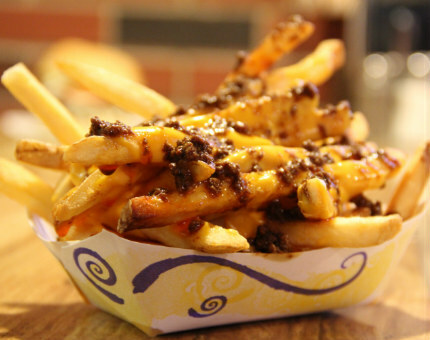 Fries like you’ve never had before! 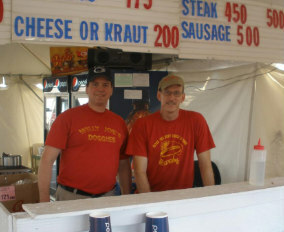 Willy Joe’s has been serving the finest, most delicious hot dogs in the area since 1945! 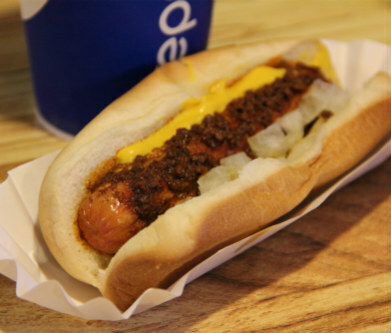 At Willy Joe’s, quality Berks hot dogs are smothered in our special tangy sauce, yellow mustard, and crisp onions, giving you a taste tempting, mouth watering hot dog that beats them all. Stop in and give ‘em a try! Sometimes called the 'Allentown' Cheese Steak, our steak sandwiches come on a fresh Malone's Bakery roll, with American Cheese, Fried Onions, our Special Chili Sauce, and a Secret Steak Sauce. Topped off with Pickles and Hot Peppers, its like no Steak Sandwich you've had before. The S.O.B or Steak On a Burger is the a truly legendary sandwich. Take everything you love about our Cheese Steak, and pile it on top of the a Quarter Pound Burger, and smother it in American Cheese. Served on a Malone's Kaiser roll with all the Chili and Steak Sauce you'd expect, Onions, Pickles, and Peppers. The Half Pound Burger is Two Quarter Pound Patties stacked high, coated in American Cheese, lathered with our Special Steak Sauce, crisp Raw Onions, and piled with Pickles. Spice it up with some hot banana peppers if you dare. Have a Willy Wonderful Day!